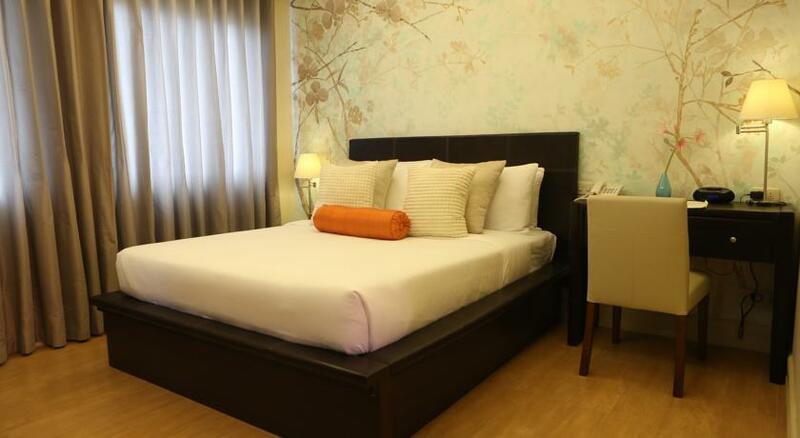 The Hampstead Boutique Hotel, Inc. is a great base from which to explore Boracay since it is ideally located in this vibrant island 6.1 km from Caticlan Airport, and 41.9 km from Romblon Airport. All guestrooms are artfully-decorated and offer air conditioning, ensuite bathroom, TV, cable, complimentary bottled water, bathrobes, shower, mini bar, safety deposit boxes, and free wireless internet access. The Hampstead has a range of amenities to make your stay more enjoyable. 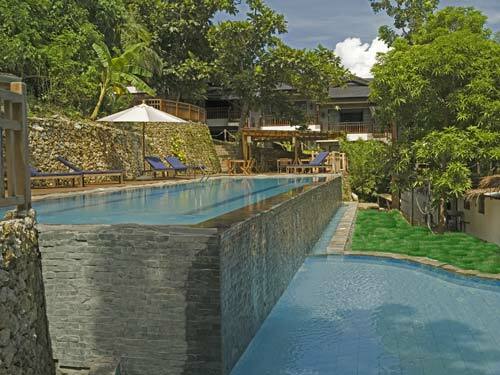 The hotel also has recreational facilities including a spa, motorized and non-motorized water sports, and a cigar room. Nearby attractions include Boat Station 1 and 2, Willy's Rock, and D'Mall. 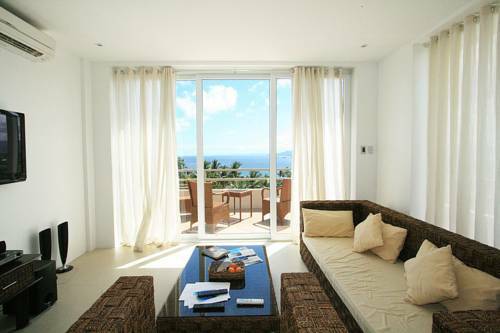 Hampstead Boutique Hotel in Boracay Island! The District Boracay is a sun-soaked modern hotel located right on the beaches of the east coast of Boracay Island, 5.4 km from Caticlan Airport, and 42.4 km from Romblon Airport. Bright, and welcoming, the District's 48 beautifully appointed rooms, which each feature air conditioning, a balcony/terrace, LCD/plasma TV, free wireless internet access, mini bar, and shower are the perfect place to begin your island getaway. Recreational facilities include an outdoor pool, motorized and non-motorized water sports, a kids' pool, massages, and a golf course within 3 km. D'Mall, Boat Station 2, and White Beach are just some of the nearby attractions available to visitors. The District Boracay in Boracay Island! The Jony's Beach Resort has kept family visitors in mind as a wonderfully welcoming hotel situated just off the beach, perfect for relaxing from the outside noise of the beach, 6 km from Caticlan Airport, and 41.9 km from Romblon Airport, still surrounded by the beautiful tropical setting. 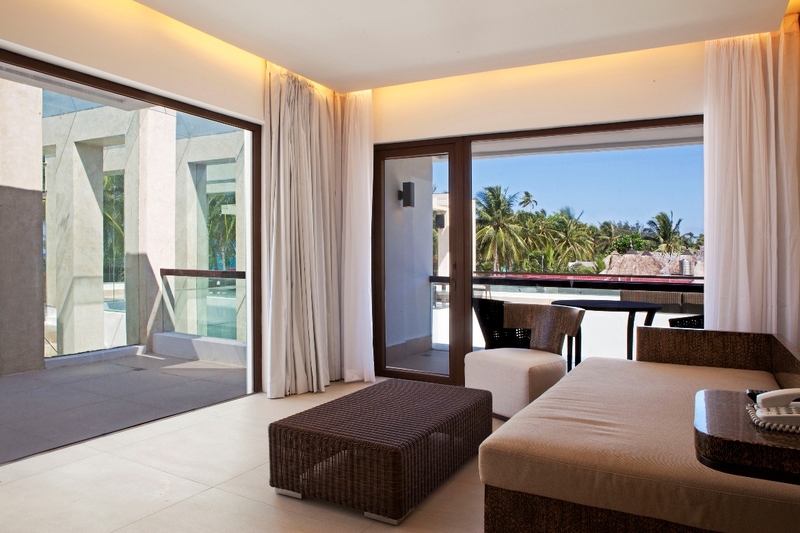 Jony's Beach's 21 guestrooms are perfect for relaxing and come with a bathroom and tub. The hotel provides a restaurant, bar, coffee shop, room service, bicycle rental, tours, babysitting, laundry service, shuttle service, and airport transfer for all guests. Recreational activities are also available with motorized and non-motorized water sports available as well as a peaceful garden. Attractions near the hotel include Boat Station 1, Willy's Rock, Boat Station 2, and D'Mall. Jony's Beach Resort in Boracay Island! The recently built Rieseling Boracay Beach Resort is a distinct addition to Boracay Island and a smart choice for travelers, located 4.6 km from Caticlan Airport, and 42.1 km from Romblon Airport in the Bulabog Beach area. Rieseling's 8 guestrooms are all tastefully furnished to provide comforts such as a refrigerator, coffee/tea maker, complimentary bottled water, air conditioning, free wireless internet access, and a shower. Recreational options consist of an outdoor pool, non-motorized water sports, massages, and a golf course within 3 km. Top attractions in this area include Bulabog Beach, the Boracay Tourist Center, Boat Station 2, and White Beach. 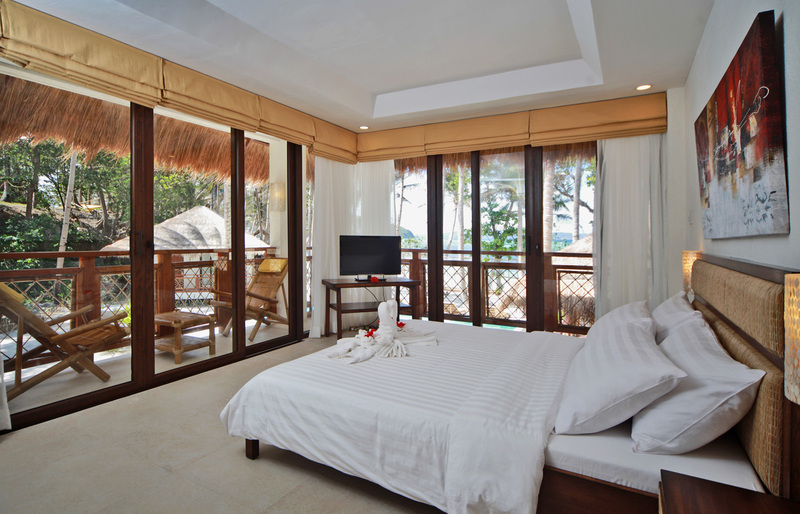 Rieseling Boracay Beach Resort in Boracay Island! Sitting graciously on the Boracay Island, this property commands magnificent views of the hill, golf course, and is surrounded by scenic natural treasures that will keep you enchanted. 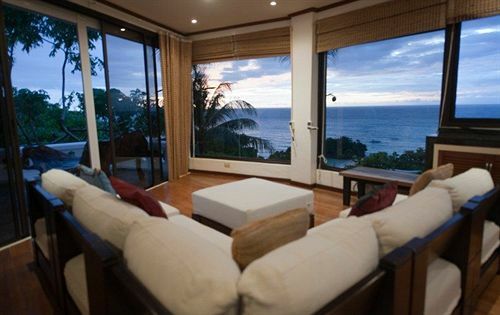 The Tanawin Resort and Luxury Apartments are located on the Bulabog Beach, so guests can also catch glimpses of the pristine blue sea water, 6.4 km from Caticlan Airport, and 40.8 km from Romblon Airport. This hotel boasts 20 innovative and vibrant rooms that feature modern facilities, and excellent decor, which makes for a perfect getaway. Tanawin offers a number of amenities to ensure guests are comfortable during their stay. Nearby attractions include Ariel's Point, Willy's Rock, Boat Station 1 and the Golf and Country Club. 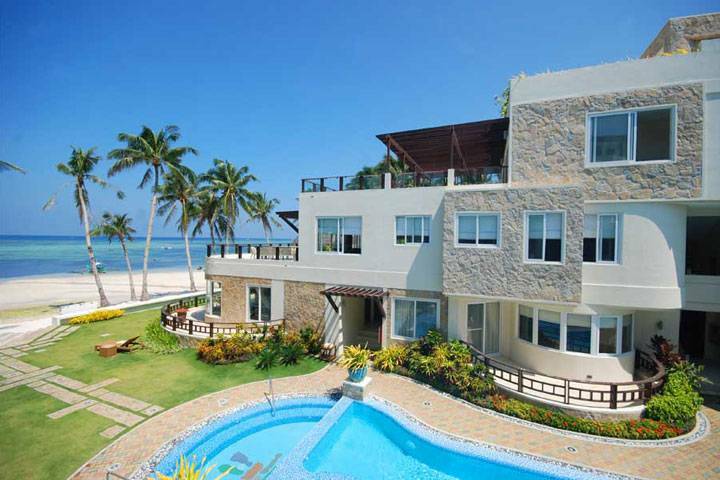 Tanawin Resort and Luxury Apartments in Boracay Island! 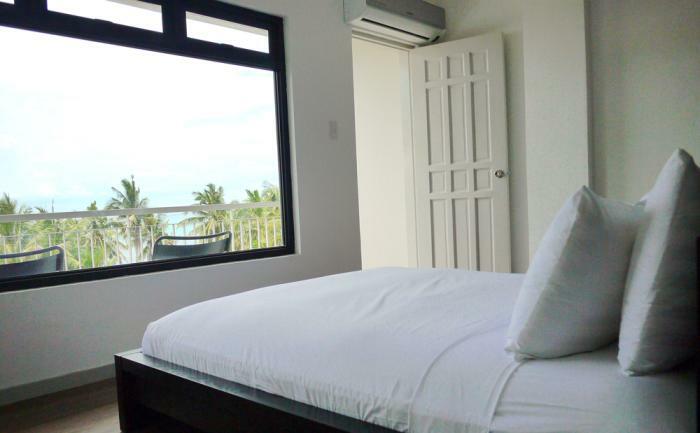 LuxeView Hotel is a new and distinct addition to Boracay Island, the Bulabog Beach area, and a smart choice for travelers, just 1 km from the city center and 30 minutes from the airport. LuxeView features 17 beautifully appointed guest rooms that feature free wireless internet access and a bright and airy design. LuxeView provides a range of amenities such as room service, a restaurant, tours, bicycle rentals, shuttle service, airport transfer, and a smoking area to ensure all guests enjoy their stay. There are also recreational facilities and a peaceful garden. Just steps away from the city's numerous attractions, such as Ariel's Point, Balabag Church, Bulabog Beach, the LuxeView is your home away from home. Luxeview Hotel in Boracay Island! Nestled in a lush garden forest, The Strand Resort Boracay is a tropical paradise in the Diniwid area, 7.1 km from the Caticlan Airport and 41.3 km from Romblon Airport. This Swedish/Filipino run resort offers 14 elegantly designed rooms and suites with free wireless internet access, up-to-date amenities and services. There are recreational activity options at the hotel as well including the island's first saltwater pool, as well as a children's pool, massages, and a peaceful garden. Just a short walk away there are a number of attractions including the famous White Beach, Diniwid Beach, Willy's Rock, Boat Station, and the Golf & Country Club. Worries will definitely be the last thing on your mind when you step into The Strand Resort Boracay. The Strand Resort Boracay in Boracay Island! Located in the heart of Boracay Island, known for its white sandy beach and pristine blue waters, this resort offers guests luxury amidst nature's untouched beauty, 5.1 km from the Caticlan Airport, and 41.9 km from Romblon Airport. Boasting 29 designer furnished apartments and rooms, the 7 Stones Boracay Suites offer privilege away from home with large bathtubs. 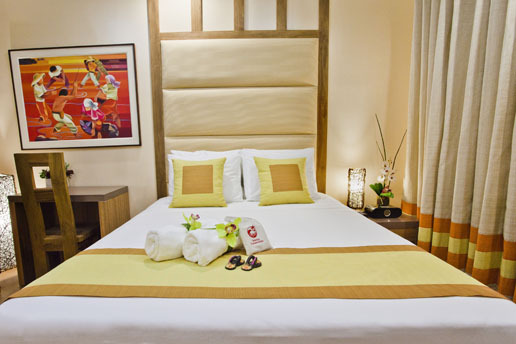 The 7 Stones Boracay Suites provide several amenities. There are also a number of recreational activities available including motorized and non-motorized waters sports, an outdoor pool, a hot tub, kids' pool, spa with massages, and garden. Bulabog Beach, Boat Station 2, D'Mall, and Ariel's Point are all nearby attractions to the 7 Stones Boracay Suites. 7stones Boracay Suites in Boracay Island! Settled above the peaceful Punta Bunga Beach in the northwest Baling-Hai Beach area of the island, 60 minutes from the airport, the Argonauta Boracay is definitely worth a visit. All 8 accommodation units are tastefully furnished and feature free wireless internet access as well as stunning panoramic views over the ocean in the exclusive privacy of your lounge, veranda, balcony, roof deck and garden where you can enjoy the fantastic sunsets and endless horizon. The hotel also has a fitness center, outdoor pool, garden, and a golf course within 3 km. The hotel is close to Fairways and Bluewater golf Course and only a 15 minute ride from the well known White Beach. 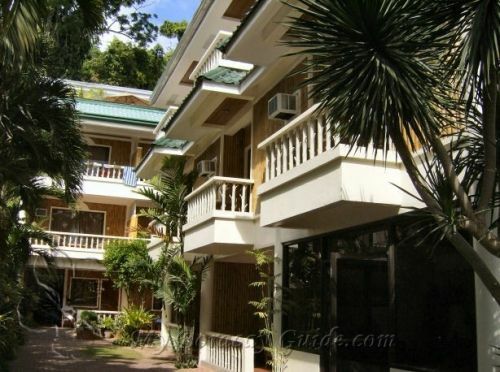 Argonauta Boutique Hotel in Boracay Island! To enjoy all that this lively city has to offer, look no further than the B Pod Hotel, located in the Boat Station 3 area, 3.9 km from Caticlan Airport, and 43.2 km from Romblon Airport. The ambiance of B Pod Hotel is reflected in each of the 8 bright, eclectic guestrooms which offer a seating area. Recreational facilities at this hotel include a sun deck, motorized and non-motorized water sports, and massages. Top attractions in the area are Boat Station 3, the Boracay Tourist Center, White Beach, and D'Mall which are all within walking distance of the hotel. Whatever your reason for visiting Boracay Island, the B Pod Hotel is the perfect venue for an exhilarating and exciting break away. B Pod Hotel in Boracay Island!